Iran Press Watch is pleased to learn that the first two volumes of Mirza Asadu’llah Fadil Mazandarani’s magisterial history, titled Tarikh Zuhuru’l-Haqq, have been typed, edited and annotated by Adel Shafipour and published online. Mr. Shafipour has given permission to Iran Press Watch to host these two volumes. Mazandarani was a profoundly learned Baha’i of the time of Abdu’l-Baha and Shoghi Effendi. He composed and published several dozens of books that are of immense interest to scholars of the Babi and Baha’i movements. Among his projects was a 9-volume series on the history of these twin movements, which he commenced during Abdu’l-Baha’s ministry and completed in the 1950s prior to his passing. 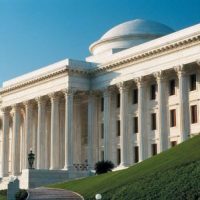 This unique record of the events associated with the rise and establishment of the Babi-Baha’i community was based almost exclusively on primary source documents (i.e. eyewitness accounts) and other solid documentation, and represents the largest single writing project of these two religions. Of the 9 volumes, only volume 3 has previously been published in print. There is an e-version available on H-Bahai, but this version is a scan photocopy and is quite inferior to the completely re-typed and annotated version. Mr. Shafipour is continuing his work and over time all 9 volumes will be made available online in this form. Since these volumes represent a peerless documentation of the trials and persecution of the Baha’i community of Iran, they are being posted at this site as a way of fleshing out our academic records. This service by Mr. Shafipour is nonpareil. That he is making the first two volumes of this masterpiece available to us for free on the internet deserves tremendous praise and appreciation. May he be duly rewarded for this precious labor of love. I second all that Amal said. This is indeed a remarkable event. I also wait for the day when some of these books are translated into English. Zuhur al Haqq, Kitab-i-Fara’id, Kashf al-Ghitta, the Nuqtatu’l Kaf, and the Kitab-i-Asma, and many other works should be reprinted and reposted for viewing. This is an impressive accomplishment. As one who does not know Persian, I wonder what plans if any have been made to translate this amazing body of work into English. Does anyone know? One of our editors has had a project for several years to prepare a biography of Baha’u’llah solely based on materials in Zuhuru’l-Haqq. It is believed that such a biography will be the most comprehensive of its kind. We understand that this project is about a year or so from completion. Thank you for your kind remarks and words of kindness. These words make me go and fill me with love and blessing. It keeps me going and it ignites me to continue of this tremendous project. I wish I could tell how grateful and blessed I am of learning of TZH, specialy on the time of ministry of Baha’u’llah. You would not believe it, there are so many fresh materials that I learned from it. I hope soon these materials would be available in English. As I learened, Dr.Rabbani works on this translation project. If God willing (Insha-Allah ) soon would be availabe to all English speaking friends. My dearest Iranian Baha’is, be firm in this trying moments, as written in the Books, all these sufferings WILL come to an end. Remember, you are not alone, we shall continue to say prayers for you. In years to come, the Iranian Baha’is and all other Iranians, Moslems, Christians, etc will be free from any oppression. We have to go back to History. All previous religion of God, before Baha’i Faith under went difficulties including Islam. Thanks to you Iran Press Watch for providing this information.